Easy, delicious and very moreish grain free almond flour chocolate chip cookies. 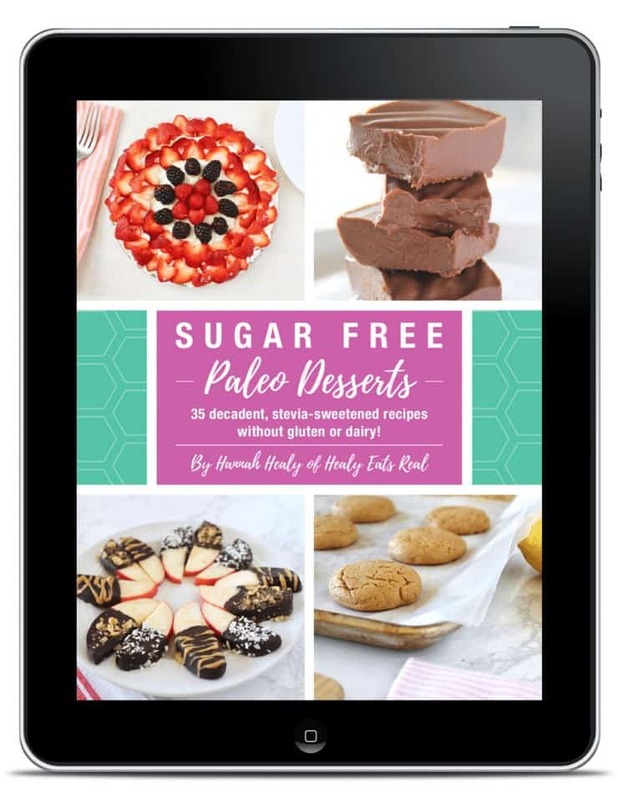 These cookies are made with coconut oil & sugar, vanilla and grain free flours. Ready in under 30 minutes they’re easy to whip up and enjoy in no time. 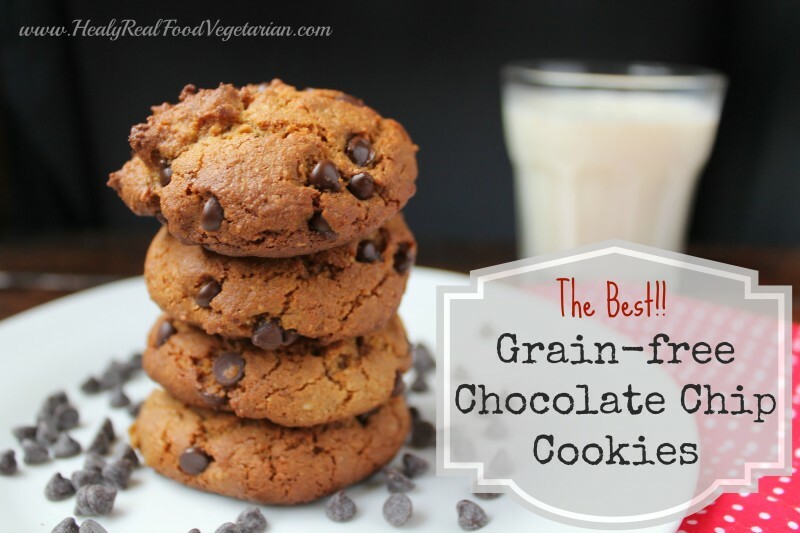 I have to say that these gluten-free or grain-free chocolate chip cookies are the best I’ve had! When baking grain-free I like to combine almond flour and coconut flour. I feel that what one flour lacks the other makes up for. Coconut flour alone can be a bit crumbly and almond flour can be a bit dense and heavy, but together they make a darn good cookie! 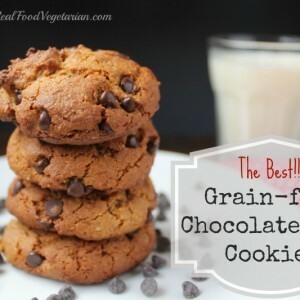 I think Chocolate chip cookies may just be one of my favorite treats, so having a healthier version like this is a must! For the chocolate chips I used this brand. I like them because they don’t contain GMOs or weird additives like soy lecithin. Have you tried these Grain Free Almond Flour Chocolate Chip Cookies? Don’t forget to rate the recipe and leave me a comment below. You can also follow me on Facebook, Twitter, Instagram, Pinterest and YouTube. In a food processor or mixer combine all ingredients except the chocolate chips and mix well. Make sure you soften or melt the coconut oil so it's easier to combine. Gently fold in the chocolate chips manually with a spoon (do not mix it with the food processor or it will chop up all the chocolate chips). Take small bits of the dough and shape into a round cookie and place on a cookie sheet lined with parchment paper or silpat. Bake for 10-15 minutes or until slightly browned on top. If you feel the cookies right out of the oven they may feel a bit soft, but allow them to cool and they will harden. These look wonderful. I agree with you on combining the two flours. I love the texture it brings. I can’t wait to try your recipe. I have a question are these a crispy cookie or a chewy cookie? I’m allergic to tree nuts – except for peanuts and coconut. I wonder if I could substitute peanut flour for coconut flour…. I meant to say peanut flour for almond flour. I haven’t used peanut flour before. If you try it let us know how it turns out! These cookies are TO DIE FOR! 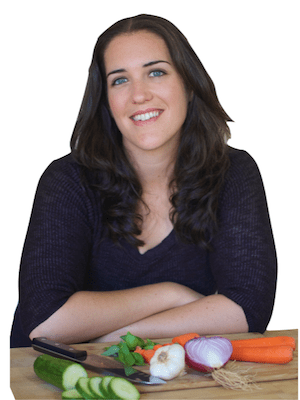 Thank you so so much for sharing this recipe! After nearly one year of failed GF cookie recipes, I’m so glad you posted this keeper. I know that this is my new go-to choc chip cookie recipe when the husband tells me I can stop trying other recipes because he only wants me to make this one henceforth. If you like soft cookies, this recipe is IT. Thank you Joei! So glad to hear you enjoyed them! Will honey work, as to substitute coconut sugar? Probably not. It would change the texture to use a wet ingredient in place of a dry ingredient. These are amazing! One for my recipe book, thanks! Any chance a ‘print’ button will be coming? Made these the other day and they were delicious! Added a little pecan flour too. I’m about to make them again with salted pecans and white chocolate. Thanks for sharing! These cookies are so yummy! They turned out great even at high altitude(I live at 7800′). Thanks for sharing!! Great! So glad to hear that, these are my favorite cookies!